Sometimes you just have to build it yourself. When a vintage component network goes bad and you can’t exactly go down to the corner store and buy a Sprague TC-24 anymore, sometimes you just have to build a new replacement yourself. 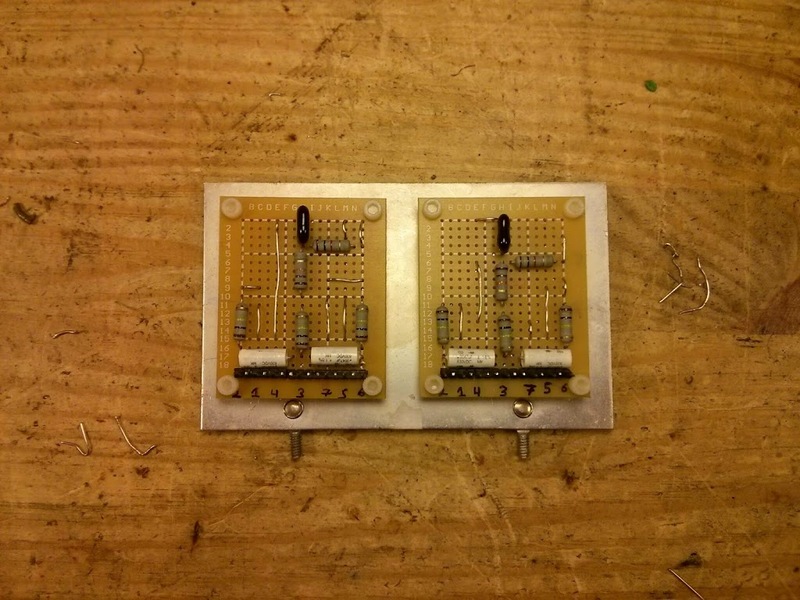 This entry was posted in DIY, Electronics, Photos, Projects, Vintage and tagged 29571, board, circuit board, couplet, pec, printed electric circuit, Sprague, tc-24. Bookmark the permalink.